You are currently browsing the tag archive for the ‘dbt’ tag. With ten albums worth of material* to choose from for an evening’s set list, a Drive-by Truckers show always holds a certain mystery and anticipation for those in attendance with regards to what they shall be serenaded with. Being, by far, one of the most solid and consistent recording artists of the last couple of decades** there is certainly a wealth of top dollar material to be heard but will you hear that one tune that you are frantic to hear live? This, almost bi-yearly, appearance at Glasgow’s ABC is brought to us by the release of new album ‘English Oceans’***, which presents another slice of their trademark Southern rock and soul shenanigans. With another change in line-up since last time on these shores, the band is a mixture of familiar and new faces but all are equally greeted with rapturous applause from what seems like a bustling crowd****. Hitting out with a couple of tracks from the aforementioned new record, it doesn’t take long for the crowd pleasers to be tendered out, with ‘Gravity’s Gone’ providing the first instance of hopping about*****. The remainder of the set delivers highlights from throughout their career going as far back as their first two, lesser known, albums showcasing tracks ‘Uncle Frank’ and the fabulous ’18 Wheels of Love’****** which delighted pockets of liquored up folk within the mass. The real elation for most though kicked in for the closing tracks of the main set from breakthrough albums ‘Southern Rock Opera’ and ‘Decoration Day’. The sumptuous tale of the feud between Lynyrd Skynyrd and Neil Young, ‘Ronnie & Neil’ was a mighty ruckus of a tune which had the audience bellowing along, whilst closer ‘Hell No I Ain’t Happy’ proved a nice, and ironic, way to end the set as there wasn’t a frown to be seen. With the traditional ‘Let There Be Rock’ heralding the close of the evening, not before hearing new track ‘Grand Canyon’ which fit in nicely with the more weathered material, the evening was at an end. It took a fair few minutes for all present to leave as the round of applause that bid farewell to these performers seemed to be undying. 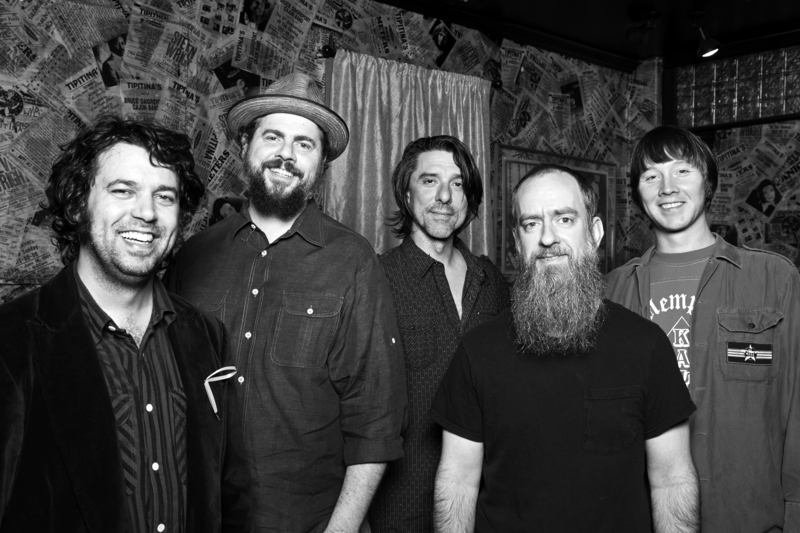 It’s a testament to the Drive-By-Truckers professional uninhibitedness that keeps the crowds coming year after year******* with the feeling that the next show may just be their best yet. *I ain’t counting live albums, B-side collections, greatest hits, or solo material. Just so you know. ***What seems like a wee bit of a retreat to the position that they’re used to, instead of the Soul vibe of previous record ‘Go-Go Boots’. ****Considering how difficult it was to get a beer at points I’m gonna guess that it was. *****Cue several spillages of pints held aloft in the air. *******This would happen to be my ninth visit.